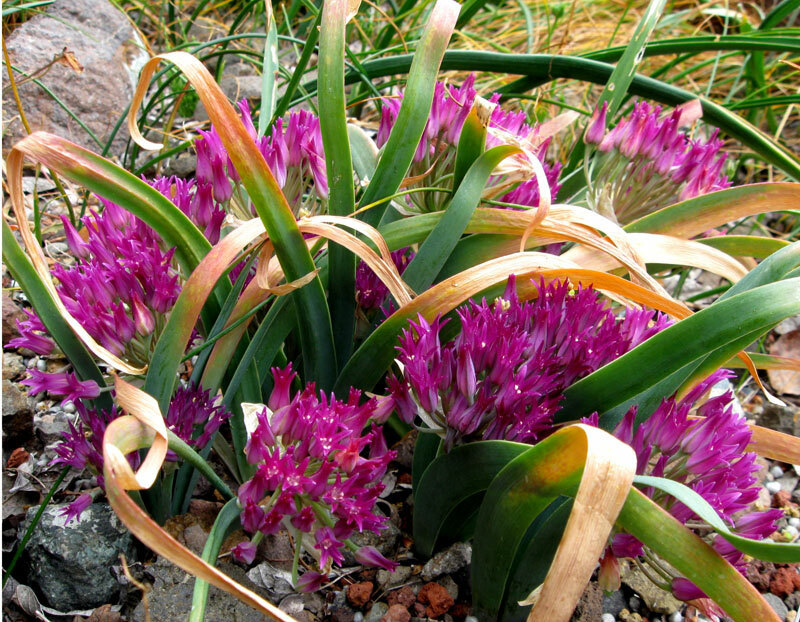 We’ve been starting to add California native bulbs to our home garden and our landscape plantings, and so far, Allium unifolium is one of our favorites. 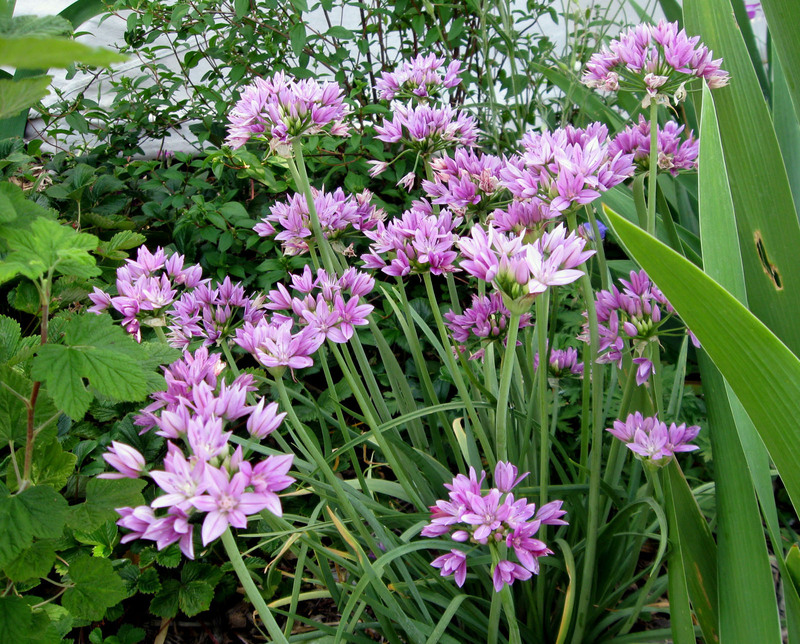 A lot of the native alliums require perfect drainage and a summer dry period and would be difficult to source even if you thought you could get the growing conditions right. A. unifolium, though, is easy to find and grow; we read that it’s supposedly the most clay tolerant of the alliums, and so far that’s been the case. Also, because it’s considered garden worthy (the Dutch like it) and not just for native purists, you can actually find it in sufficient quantities to make an impact in a large garden, where it will spread somewhat aggressively if it’s happy. It’s beginning to bloom in several of our gardens now. We were recently at the Regional Parks Botanic Garden at Tilden for their native plant sale, and I took pictures of the alliums that were blooming. 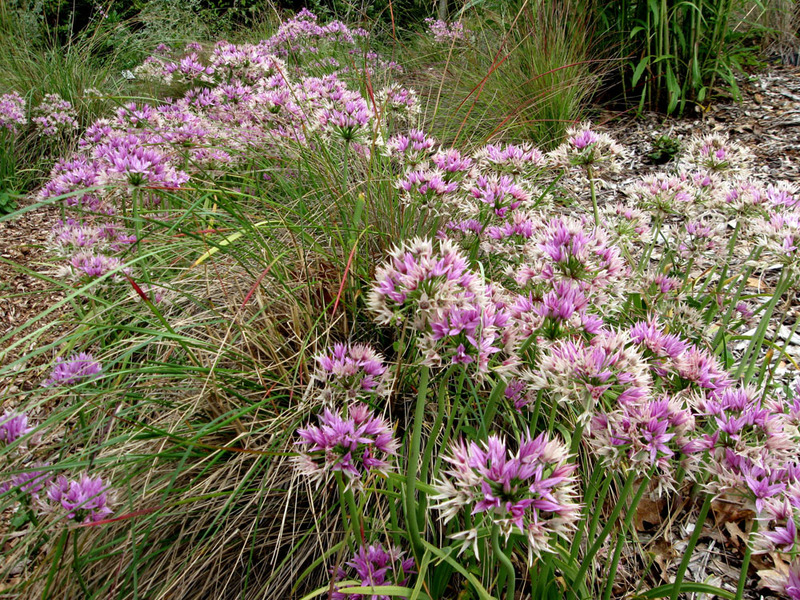 The bed’s aesthetic (three foot high bed of stone holding 4-12 inch high plants) is more for collectors than for casual visitors, but it has some interesting stuff, of which Allium crispum sounds like the best bet to try in a garden. 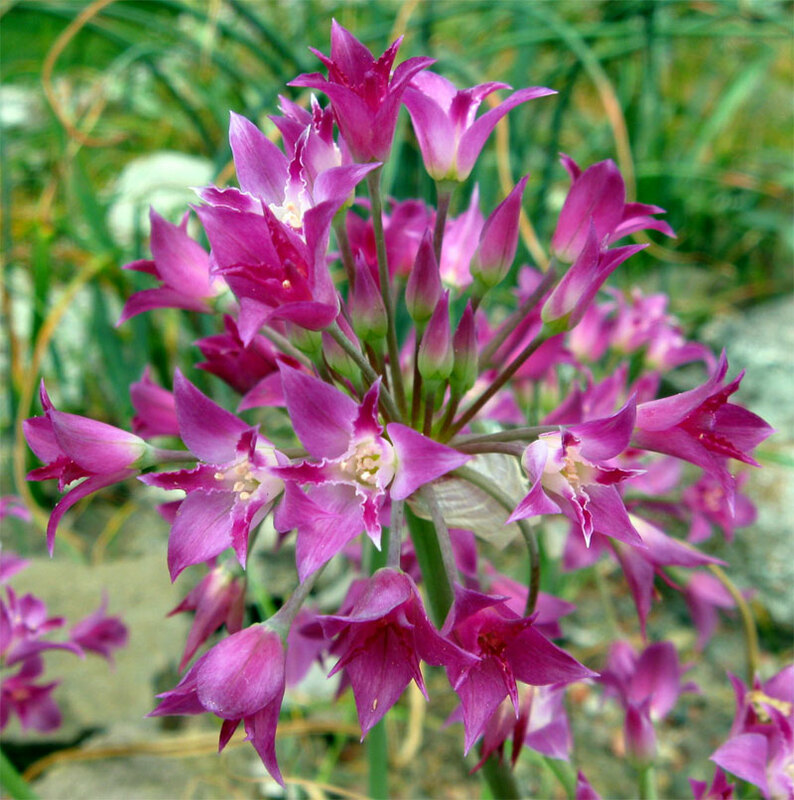 The Pacific Bulb Society has a good info page for North American alliums. Far West Bulb Farm also has photos and info and might be a source for some of them. I put photos of four alliums and the raised bed below. Update: To show what the plants look like as they finish their bloom, I added a photo of a naturalized A. unifolium patch in the botanic garden that I took on June 10th. This entry was posted on Sunday, April 26th, 2009 at 9:58 am and is filed under bulbs, california natives, plants, public gardens, tilden. You can follow any responses to this entry through the RSS 2.0 feed. You can leave a response, or trackback from your own site. Too bad. Texas probably gets hot and dry too quickly. They like our wet, cool winters and dry, dry summers. Great macro of the Allium falcifolium. It had me drooling like usual. Plenty to love in a small umbel. I want – the one leaf onion. I can think of a number of places to use it. Might be pushing the zone a bit but the color, size and it’s ease of naturalizing are just right. 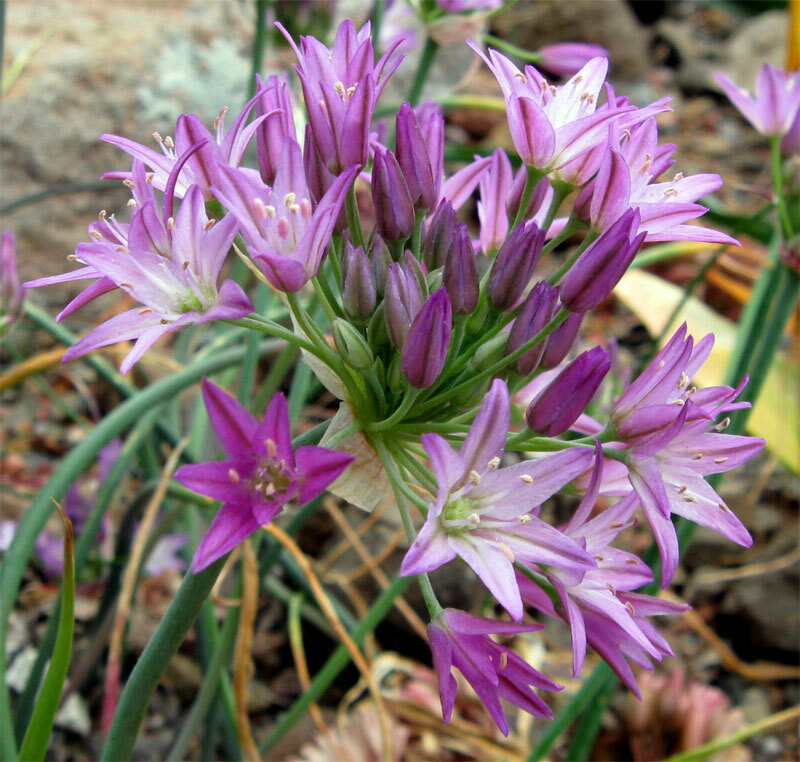 Well blow me down, I thought I was pretty good on natives but had no idea there were native California alliums. I’m not generally a huge allium fan, but these look beautiful. I never really connected natives and bulbs until Troy at Gardennatives did a blog post on this topic. 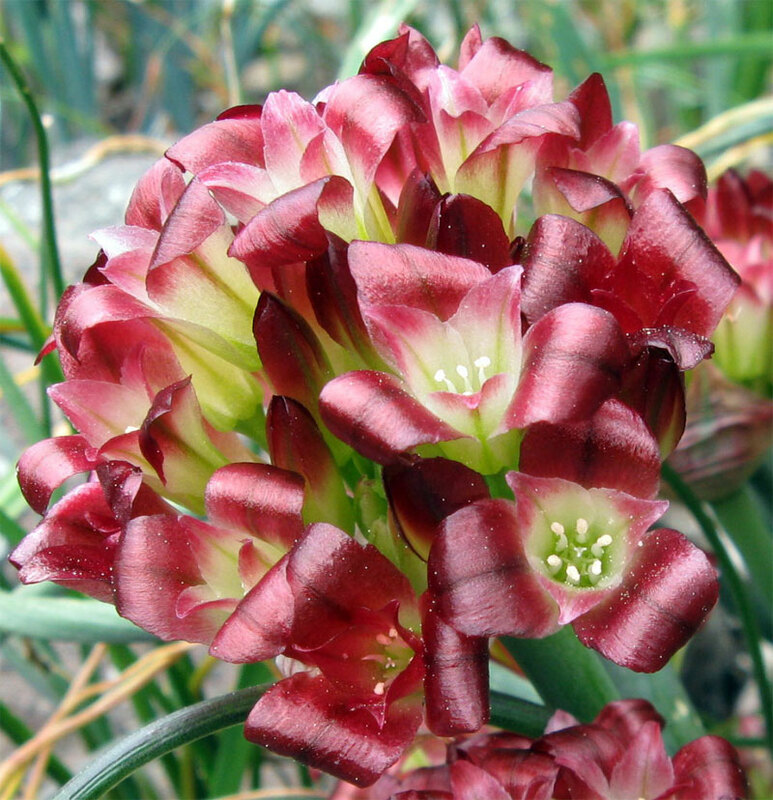 I’m now suggesting native bulbs to clients in addition to or instead of the much beloved daffodil. 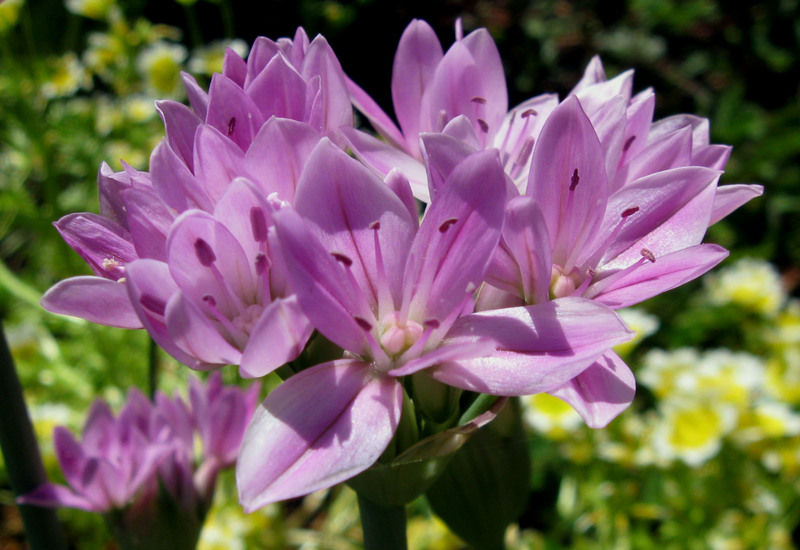 I just planted a bunch of little allium unifolium plants I grew from bulbs – your results are encouraging! 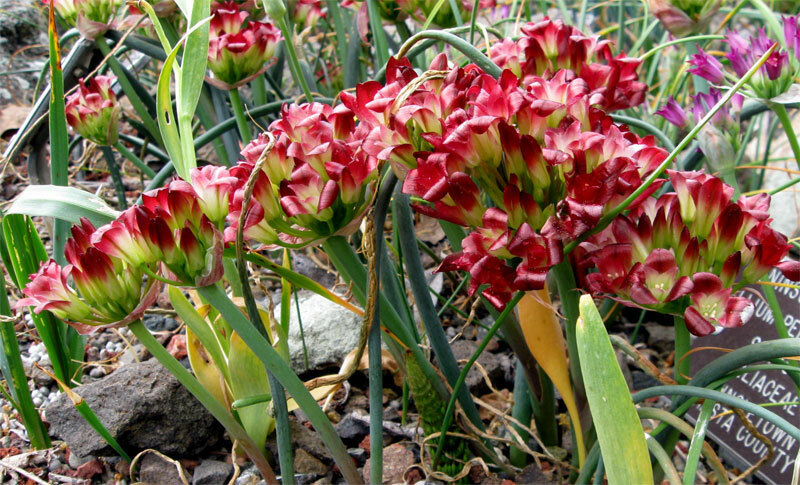 Our bulbs are all up again this year, too, so we’re continuing to have good results. That’s great you’re growing them from seed. I hope you have good results too.